As nearly everyone knows now, when the Marines of BRAVO! and nearly every other veteran returned from the war in Vietnam, our reception was not what we expected. So it’s with great pleasure that today we can say a big thanks to the state of Idaho for an outstanding reception. BRAVO! was celebrated throughout the state in late March and early April with screenings in Lewiston, Boise, Twin Falls, Caldwell and at Mountain Home Air Force Base. Capacity crowds amounting to well over a thousand folks came out to generously support the fundraisers and see the film, and as always, we feel we touched a lot of lives. 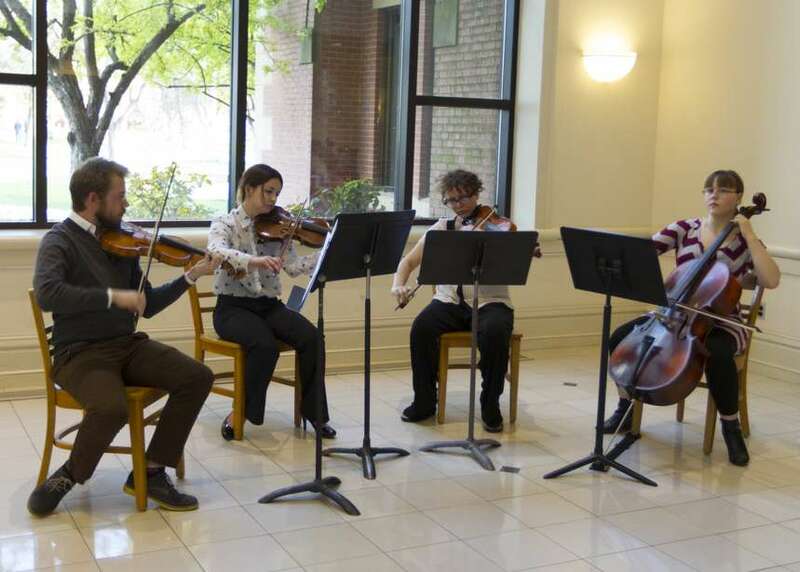 In concert with the screenings, we worked with a wide array of veterans’ service agencies to support veterans’ courts, the Idaho Veterans’ Network, and the Lighthouse Rescue Mission veterans’ programs. The screenings were fundraisers for these organizations as well as educational events to alert community members to the extensive variety of veteran’s organizations available here in Idaho that help veterans in need. 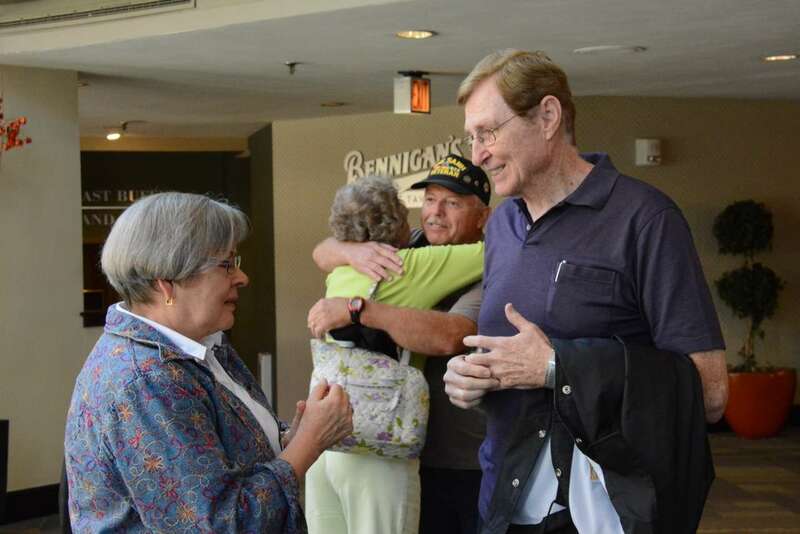 We were honored that the screenings in Boise and Caldwell were included as the culminating events for the annual Read Me Treasure Valley series, which had a Vietnam veteran focus this year. Nationally known authors who have written books about war and Vietnam came and shared their work. 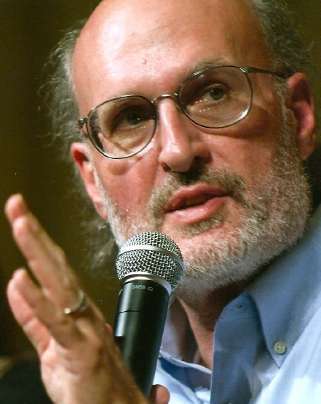 Historians from Boise State University gave lectures on the Vietnam War. In addition, the award-winning author of VOLT, Alan Heathcock, led book discussions. There was a presentation about orphanages in Vietnam, a discussion about PTSD, and a program about music of the Vietnam era. Joining in the screenings with this wonderful bunch of supporters and participants were BRAVO! Marines Ken Korkow, Steve Wiese and Ron Rees. 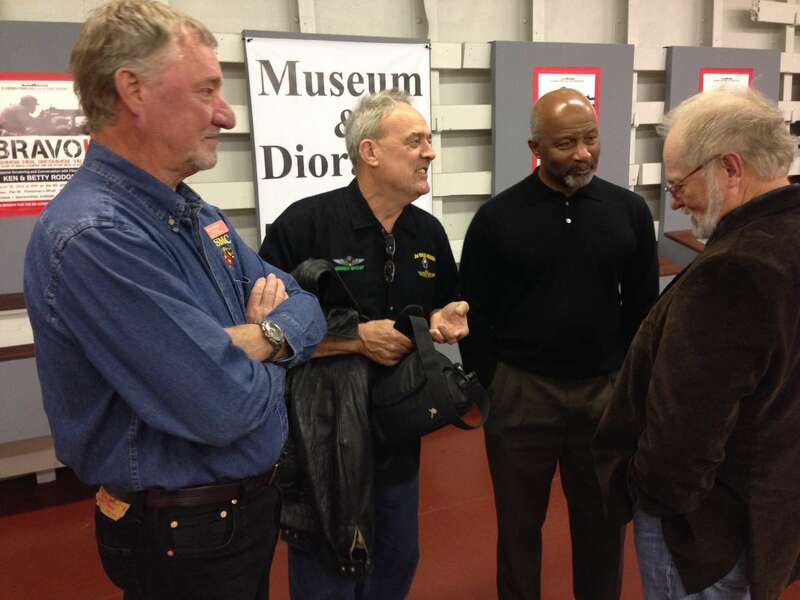 All three of these Khe Sanh survivors participated in panel discussions following one or more of our events. Ken Korkow also was the guest of honor at a faith-based event at Boise’s Gowen Field, home of Idaho’s Air and Army National Guards. Joining in on the various panels were Dan Ashley, Mischa Brady, Julia N, Mary Kelly and Brian Taylor. Color Guard entering the Egyptian Theatre on 3-30-2015. Also on hand was BRAVO!’s editor John Nutt. John is a veteran of decades of film work and the Vietnam War. As part of the Boise event, John was presented with an award by the director of Idaho Veterans Services, Colonel David M. Brasuell, United States Marine Corps Retired, for John’s exceptional work on BRAVO! BRAVO! supporter and friend Terry Hubert, also a Marine, came up from Nevada and participated in workshops about disturbed and incarcerated veterans. Also attending was BRAVO! friend and Marine Dave Beyerlein who originally helped set up our website for the film. Dave served in Vietnam and even though we’d talked to him a bunch, we’d never met him in person. Noted Boise author, Al Heathcock, once again emceed our Boise and Caldwell screenings and was impressive with his passion, insight and aplomb. Among other duties at the Egyptian Theatre event, Al introduced Boise city council member T J Thompson who read a proclamation from Boise Mayor Dave Bieter declaring March 30, 2015, as Welcome Home Vietnam Veterans Day. At the Caldwell event, Caldwell Mayor Garret Nancolas greeted the audience prior to the screening and talked about Caldwell’s Welcome Home Vietnam Veterans proclamation. 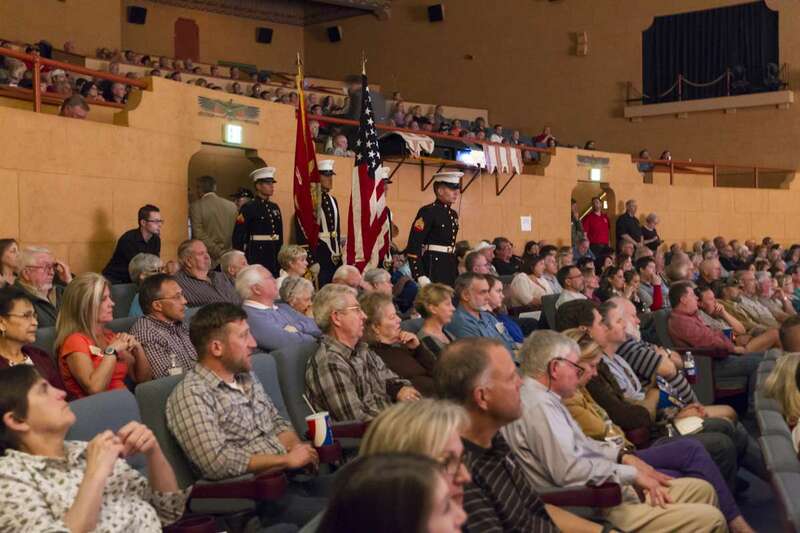 A color guard from Charlie Company, 4th Tanks, 4th Marine Division posted the colors at both the Boise and Caldwell screenings. 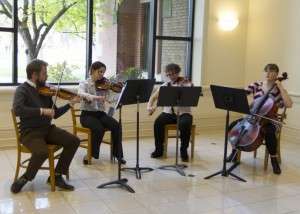 Chamber music quartet playing prior to the start of the Caldwell screening. 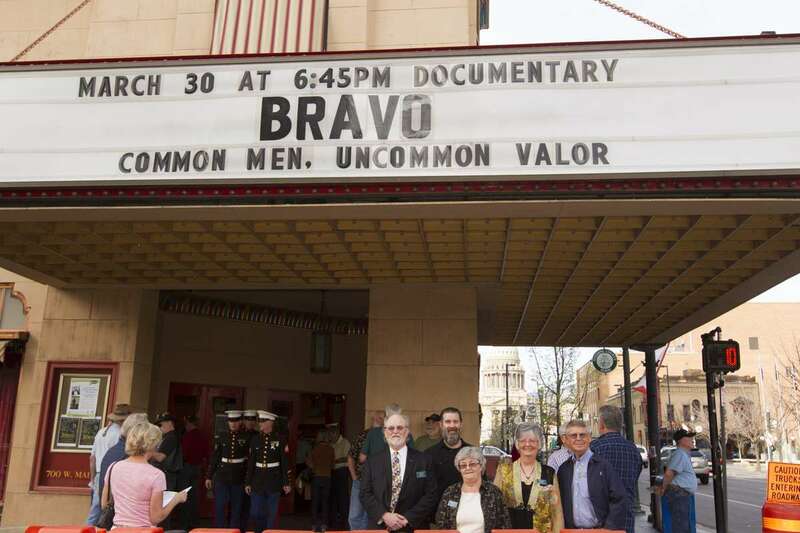 We would be remiss if we didn’t thank all the individuals and organizations that made the screenings of BRAVO! a smashing success: The indefatigable leaders of this massive effort, Norma Jaeger and Mike Moser aided by Christina Iverson of the Idaho Supreme Court, Reverend Bill Roscoe of the Boise Rescue Mission, Jamie Shropshire, Steve Orr, Linda Wright, Rich Neu, Steve Conger, Dan Ashley of the Boise Vets Center, Bill Bankhead, Travis Dryden, Mike and Monique Shipman, Pam and Lance and Kearney Thompson, John and Heather Taylor who are cousins of BRAVO! Marine Ken Korkow, Heather Paredes of the Eagle Field of Honor. Thanks too, to Mark Heilman, Lori Sprague and R K Williams of Boise State University; Mitzi Cheldelin and the rest of the folks at the Boise Police Department; the Ada and Canyon County sheriff’s departments, BRAVO!’s longtime supporters Leland and Trisha Nelson; Dona Butler of the Canyon County Veterans’ Court; the Idaho Division of Veterans’ Services; Cloverdale Cemetery and Funeral Home; Blue Planet Photography; Rick Ardinger and the Idaho Humanities Council, Mary DeWalt and Ada Community Library, Business Psychology Associates, Idaho Army National Guard, Joining Forces for Treasure Valley Veterans, Idaho Veteran’s Network, Office Depot, Destiny McGinley and the staff of the Egyptian Theater; Diane Raptosh and the folks at College of Idaho; Lewis and Clark College in Lewiston, Idaho, College of Southern Idaho in Twin Falls, Idaho, Terry Hubert, Ken Korkow, Steve Wiese, Ron Rees, John and Ann Nutt and all the other individuals and organizations who helped out with this event. Back in 1968, thousands of Vietnam Veterans came back home to, at best, a tepid reception, but in Idaho during March and April 2015, they received a hearty Welcome Home. A True Friend to BRAVO! Meet Carol Caldwell-Ewart, BRAVO!’s Associate Producer. You’ve seen the name in the credits, perhaps even met Carol, but we’d like to tell you a little more about her. Carol was our friend in Sonoma County long before we moved to Idaho and became filmmakers, and was quite interested and encouraging when we decided to tell the story of the Vietnam War through the experiences of Bravo Company during the Siege of Khe Sanh. In spite of the fact that she works fulltime-plus, has many interests and talents such as editing, business and creative writing, travel, pottery, family and dance, Carol asked what she could do to support our efforts. She believed in what we were doing, and knew we couldn’t do it alone. So Carol set forth and developed and managed three separate Indiegogo fundraising campaigns which were all successfully funded. Had it not been for these efforts, and her own personal donations, we would not have had the resources to complete BRAVO! Once we had all our material gathered and interviews completed, it was time to choose an editor, and Carol played a significant role here as well. We were fortunate to hear from Vietnam veteran and long-time sound and film editor, John Nutt, who was interested in working with us, but we had not met him face-to-face—he lived in California and we are in Idaho. Once again, Carol stepped up. She went to see John for that critical first meeting and subsequently was confident it would be a good match. Sure enough, she was spot on. Carol joined us at Skywalker Ranch in Marin County when we were there for the final sound re-mix. This was to be the first time she gained a glimpse of the breadth and power of the story she had worked so hard for. She was with us when we screened it to the employees of Skywalker Sound in Lucas’ state-of-the-art theater. Once the film was ready to be shown to invitation-only crowds, Carol then asked to host one of our very first screenings for our northern California donors. She pulled out all the stops with the location, the food and beverages, and the huge crowd of friends, family and supporters. Since then, Carol has attended many of our screenings, working in the background to be sure all the details were attended to, and handling DVD sales to enable us to talk with people. She has designed and printed programs, and pitches in to help the hosts when they need it, such as checking sound equipment, arranging food on platters, and directing guests to the venue. She is an excellent spokesperson. We are also extremely grateful when we send text off to Carol and ask her to don her editor’s hat (of course, it’s a red one…Carol’s favorite color). We may have struggled and struggled to word something well and just not been happy with it. In a matter of minutes, Carol has reworded it to be exactly what we wanted. Carol Caldwell-Ewart manning the goody table on the SS Jeremiah O’Brien. Over these last four years, Carol says she has grown to love the men in the film and admire their courage in telling this story. 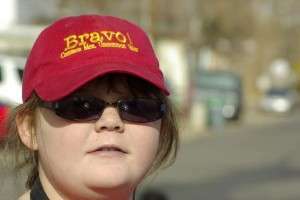 Yet in all this time, she had met just one other Bravo Company Marine besides Ken. So when she learned there would be a significant number of the men in attendance at our recent screening in Springfield, IL, she decided to travel there to meet them. Carol flew there at her own expense, and knew each face the minute they walked in the room. Little did each of them know whom they were meeting…this amazing woman who has championed them and their story from the very beginning. She has stood by them and honored them and given a great deal of herself to be sure the film did not languish in some obscure corner. Fortunately over the time Carol was in Springfield, the men did come to know her too. And so here, on behalf of everyone involved with the film, we would like to express our deepest gratitude for all you have given, Carol, with no expectation of anything in return. We appreciate your warm smile, your keen mind, your generous heart, and your belief in all of us. May you receive the same degree of friendship you give so well. BRAVO! Marine Mr. Ben Long get acquainted in Springfield, Illinois. On the screening front, BRAVO! will be screened at the Union League Club of Chicago, 65 West Jackson Blvd, Chicago, Illinois on July 24, 2014. Sponsored by American Legion Post 758, this event begins with registration at 5:00 PM. The film will be screened at 5:30 with a Q & A session with Co-producers Betty and Ken Rodgers and BRAVO! Marine Michael E. O’Hara following the screening. Complimentary snacks will be provided and there will be a signature bar with beverages of your choice. The program will end at 8:00 PM. Reservations are required. To reserve your seats please go to the Eventbrite registration page @ https://bravofilm.eventbrite.com/. Please note, this event is business casual: no jeans, no denim, no shorts; shirts must have collars. The cream-colored walls of San Quentin were shrouded in a cold mist as Betty, Associate Producer Carol Caldwell-Ewart and I arrived at the prison to screen BRAVO! COMMON MEN, UNCOMMON VALOR on Saturday, March 29, 2014. The visitor parking lot was crammed with the vehicles of people who were lining up to get inside and visit prisoners incarcerated at San Quentin. As we waited our turn, we observed a steady stream of people going in and out, the sounds of bells and buzzers announcing things we did not understand. As the sky drizzled a slow rain, we were greeted by Mary Donovan, Executive Director of Veterans Healing Veterans from the Inside Out, the organization that sponsored this screening. Mary does a lot of volunteer work with the veterans inside San Quentin. At the gate an imposing guard barked out names of people who would not be allowed to go in for one reason or another. He wore a hooded jacket over his uniform and stared at each of us and our drivers’ licenses as we walked through. We were joined there at the gate by Vietnam War Marine Terry Hubert, the Vietnam Veterans of America’s chairman of the Veterans Incarcerated Committee. Terry has been and still is a big supporter of BRAVO!. Also joining us were Marine Steven Wiegert who served with Delta Company, 1st Battalion, 5th Marines in Vietnam and Sunny Campbell, Lt. Colonel, USMCR Retired. Steven and Sunny spend a lot of time on the inside of San Quentin working with veterans, as well as other inmates. Also joining us was Rhonda Harris, a veteran who is—by providing housing assistance, higher education prospects and employment opportunities—instrumental in helping other veterans integrate into the mainstream society through an organization called The Veterans Resource Center. We screened the film at the protestant chapel inside San Quentin and the facility had good audio/visual equipment and a proficient A/V Tech named Steve. The prisoners in these venues don’t volunteer anything other than their first names and we always feel there is a good reason for this, and not because I know what that might be, but because I can feel it in the tenor of the time and place. We never ask them what they “did” to get inside and it is really none of our business. This is the second time we have shown BRAVO! inside a California state prison. A lot of people remark that surely the experience of screening inside a prison has more import or carries more gravitas than a screening outside a prison. I don’t think there is much difference. All screenings are unique. The one thing I can say about screenings with inmates in a correctional institution is that we, the filmmakers, receive well-thought-out questions and the viewers exhibit a lot of emotion. After some thought, I think this may come about as a result of the prison environment being a day-to-day war zone. These men know fear similar, I suppose, to what we experienced at the Siege of Khe Sanh. Folks often wonder why we would take our film into the prisons to show to the veterans, and Betty and I would say that even though these men (and women) have done things that earned them a prison sentence, that fact cannot, in our opinions, be allowed to detract from the service—especially the honorable service—they have given their country. Another big OOORAH to Marine Brenton MacKinnon for all the work he did to bring this screening about. After leaving San Quentin, we (including Carol Caldwell-Ewart) met with BRAVO! Marine Steve Wiese and his wife Deborah for dinner and talked about the screening that was to happen the next evening, March 30, aboard the SS Jeremiah O’Brien at Pier 45, Fisherman’s Wharf, San Francisco. 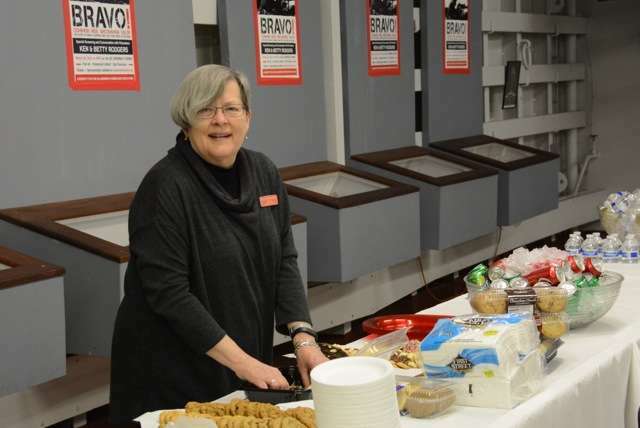 Associate Producer Carol Caldwell-Ewart manning the table. March 30 is a banner day for the Marines of BRAVO!. It was the date of the Payback Patrol that plays a large part in the lore surrounding the film, and is also Welcome Home Vietnam Veterans Day. A large crowd of friends, family, veterans, volunteers and supporters made their way to the dock, up the ship’s gangway, through a hatch and down another gangway into the saloon amidships where the event took place. 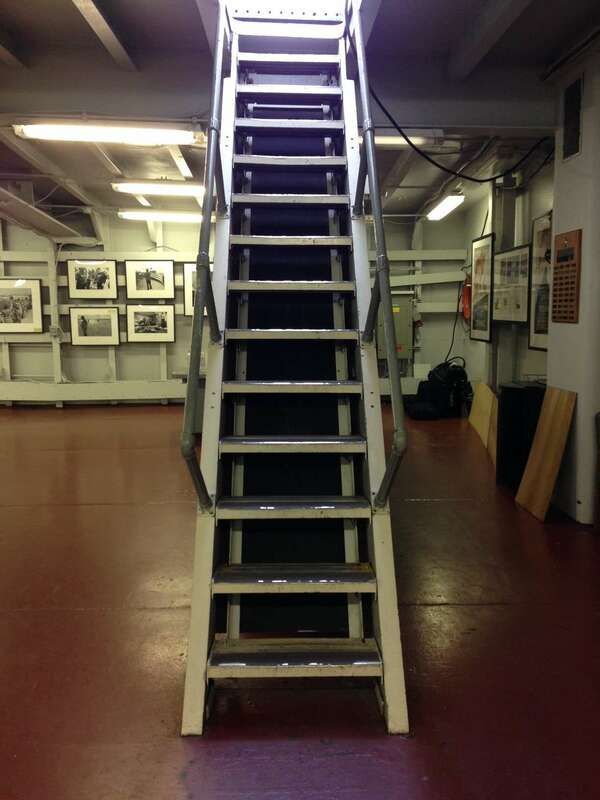 Many of the folks wound their way through the museum and other areas of the ship before things got started. Over 150 folks viewed this screening in a genuine nautical environ (one of two surviving World War II Liberty ships) that added ambience to what was being depicted on the screen. After the screening, BRAVO! Marines Steve Wiese and Ken Rodgers joined with Marines Lou Kern and David Moragne, as well as BRAVO!’s film editor John Nutt (also a Vietnam veteran) for a lively Q & A with the audience. Lou and David were with Force Recon at the Khe Sanh Combat Base during the Siege. Moderating the Q & A as well as acting as Emcee for the evening was Tom Croft from Santa Rosa, CA. Tom was a United States Navy dental tech in Vietnam. He worked on Marines’ teeth during the day and then treated wounded Marines at night as a Corpsman. 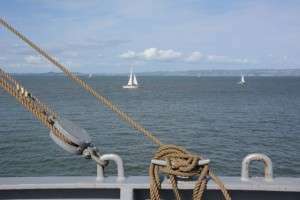 The Jeremiah O’Brien screening would not have been possible without the efforts of our nephew, Troy Campbell, who is the Executive Director of the Fisherman’s Wharf Community Benefit District, and Eliz Anderson, Office Manager, Corporate Secretary and benevolent angel of the SS Jeremiah O’Brien. We also want to thank the captain of the ship, Patrick Moloney, and all the ship’s many volunteers for their efforts to make this event such a success. Thanks to Nick Bovis and Al Casciato of San Francisco’s historic Gold Dust Lounge for providing food for the evening, along with Eliz Anderson who donated cookies and beverages. And as always, a big OORAH to Carol Caldwell-Ewart for managing the myriad administrative tasks that always arise at each screening. Thanks, too, to Bon Mot PR, FX Crowly, Inc., Hancock Sea Squadron, and Holiday Inn Fisherman’s Wharf for helping make this event happen. We met up with a lot of old friends at this, our first screening in San Francisco, and made some new ones, too, which is always appreciated on our end. We feel that one or our primary duties with this film is to educate, but we also like to broaden our circle of friends. On Carson City, Kentfield and the Future of BRAVO! Here we are nearing the end of 2013 and it has been a fabulous year to be involved with filmmaking and with the folks who have been viewers and participants with BRAVO! Last month we screened the film at Western Nevada College in Carson City, Nevada, as part of WNC’s veterans club celebration of Veterans Day, 2013. One of the memorable elements of that event was the number of young Iraq and Afghanistan War veterans who attended. Betty and I had intense discussions with those young vets about the film and how their experiences so often mirrored what the men of BRAVO! described in the film. Before the screening at Carson City, Betty and I took a walk with Marine and BRAVO! supporter extraordinaire, Mr. Terry Hubert, up to the WNC observatory, enjoying a moment of relaxation before the show began. A big thanks to Terry for his efforts in arranging the Carson City screening, to retired Marine Corps Major Kevin Burns who is the veteran faculty advisor at WNC, to the WNC Veterans Club, Vietnam Veterans of America Chapter 388, Marine Corps League Detachment 630 and the Nevada State Council of the Vietnam Veterans of America, all of whom made this event a great success. Earlier in the day, Betty and I had a great time with Terry Hubert and his granddaughter Kayla at the Veterans Day Parade in Virginia City, Nevada. It was a glorious day weather-wise and the streets were lined with a wide variety of parade onlookers including veterans of World War II, Korea, Vietnam, and the Middle East wars. The parade featured hot cars, bands, ROTC units, horses, floats, veterans and characters dressed like the old-time denizens who lived in Virginia City back in the heyday of the silver boom. At the Virginia City Veterans Day Parade: Nice tail gate. OORAH! Marine! Moving on to California and the San Francisco Bay area, we stopped for a lunch of tacos with Khe Sanh veteran and big-time BRAVO! supporter Mike Preston. As so often happens with Mike and others, our conversation tilted mightily toward deceased Khe Sanh heroes. The audience was varied with veterans present from a variety of our nation’s conflicts. Also attending were BRAVO! film and sound editor John Nutt (a Vietnam veteran) and his wife Ann. The Nutts brought an interested group of independent filmmakers to view the film and discuss its historical, artistic and technical aspects. Included in this particular group was filmmaker Christopher Beaver who has been a valued consultant on the production aspects of BRAVO! We finished up the evening at College of Marin with a panel discussion emceed by Craig Wheeler. The panel included Vietnam Veterans Ted Wilson, Brent MacKinnon, Sunny Campbell and Ken Rodgers. At the Virginia City Veterans Day Parade: Check out Kayla's cool cap! Associate Producer Carol Caldwell-Ewart was on hand to help us manage the screening details and as always she did a great job. Deceased Marine and BRAVO! interviewee Dan Horton was represented at this screening by two of his cousins, Janet and Kathryn Horton. It was a real pleasure to meet them, to see the similarities they had with Dan, and to remember Dan’s and my time together at Khe Sanh and after. On the following day we traveled to San Francisco to discuss a possible screening of the film at Fisherman’s Wharf on March 30, 2014, which is Welcome Home Vietnam Veterans Day and the anniversary of a major event for Bravo Company during the Siege. A big shout-out goes to nephew Troy Campbell, Executive Director of the Fisherman’s Wharf Community Benefit Association, for helping us make this contact. And yes, it was the opening day of crab season, and what do you suppose we ate? It was a great trip that capped off a truly stellar year for the film in which screenings were hosted in Fresno, Clovis, Sonora, Soledad Correctional Training Facility, Kentfield and Santa Rosa, California, Casa Grande, Arizona, Reno and Carson City, Nevada, and Moscow and Eagle, ID. In addition, BRAVO! 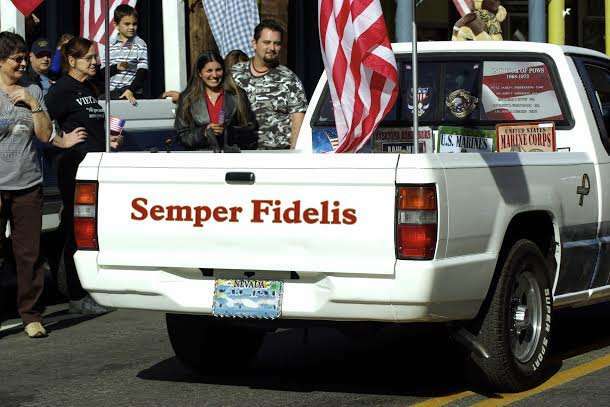 was screened for six-hundred-fifty-plus active duty Marines at Twentynine Palms, California where Bravo Company’s beloved skipper, Ken Pipes, represented Team Bravo. 2013 also saw the release of DVDs of the documentary film for purchase. The response has been good and we appreciate all the folks from around the country who have bought copies of BRAVO!. Last but not least, we were honored to be featured, along with BRAVO!’s own Steve Wiese, on Dialogue on Idaho Public Television, a news program hosted by Marcia Franklin. Things are already shaping up for 2014 as we are in negotiations for screenings in Las Vegas, Nevada, San Francisco, Modesto, Fallbrook, Sacramento and Sebastopol, California, and another screening in Casa Grande, Arizona. Thank you all who support BRAVO! Stephen Hunter, former film critic for the Washington Post and creator of the Bob Lee Swagger novels reviews BRAVO! We live in an age obnoxious in its corruption of the ancient genre of documentary film. The profusion of cable channels with their insatiable need for product has largely diluted the field with reports from Area 51, speculations on ancient aliens, and re-creations of the Battle of Gettysburg with twenty-five extras. Thus, it’s a privilege and an honor to come across a work as disciplined and rigorous as Ken and Betty Rodgers’s Bravo! Common Men, Uncommon Valor. No recreations, no ancient aliens, no saucers. Just a tour of hell in a very small space, among young men in the prime of life hammered by the existential fury of war. Theirs wasn’t to question why, theirs was do nothing–and die, too many of them. The film is a two-hour examination of the ordeal of the siege at the Marine Operation Base at Khe Sanh from January through July of 1968. The focus is on Bravo-1-26, a Marine infantry company that was on the bull’s-eye for the worst seventy-seven days of the siege, during which life consisted primarily of two endeavors: digging and praying. The Rodgerses really aren’t interested in history. They provide no voice of authority in the film, no god of context who sets things up geopolitically or even tactically. No pointy-heads or critics explain in front of animated maps the movements of the units, the terrain, the consternation of the policy people ten thousand miles away, the press coverage. Nobody second-guesses or explains, from the safety of a paneled den, what Ken Pipes, Bravo’s CO, should have done. Instead the filmmakers simply let the boys speak. The Rodgerses are noble witnesses who have committed to recording this all-but-forgotten aspect of that all-but-forgotten time and place. And they know enough to turn on the camera and shut up. So the film finds its rhythm in the excellent editing of John Nutt, which juxtaposes the recollection of several Bravo survivors, men and officers, with archival film. The men are now all middle-aged, wearing the comfortable padding of the good life in the country they fought so hard for. (You will think, as I did: Boy, if anyone ever earned the right to comfort, it was these guys.) As they talk, a narrative emerges, and the Rodgerses and Nutt cut away to mostly grainy film, as well as to the extraordinary photojournalism from the siege by David Douglas Duncan and Robert Ellison. The record reveals much that has been forgotten, if it was ever noted in the first place: the squalor of the installation itself–it looked like a large urban garbage dump by siege’s end–and the feel of the thunder of the incoming. Other samples of the combat experience emerge, without emotional underlining: the endless fatigue, the endless labor (sandbags had to be filled and stacked each day, human waste had to be burned, supplies had to be offloaded and stockpiled) and the hideousness of what small pieces of heated supersonic metal and vast energy waves of percussion can do to human flesh. 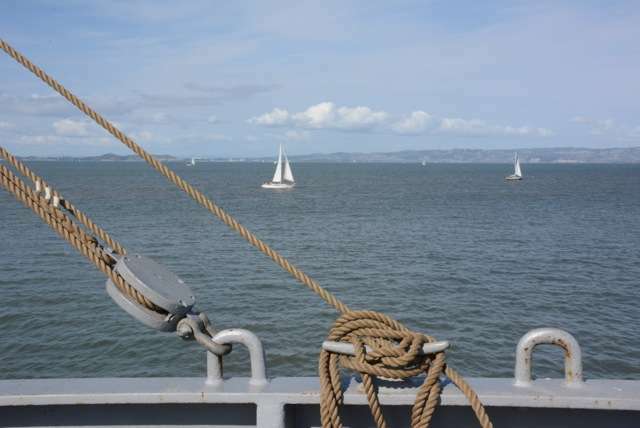 The directors also make clever usage of sound; occasionally, the screen goes dark, and all we hear is the sound of bombardment, a living symphony of mayhem, as recorded on site by an enterprising Marine historical officer. In general, the movie progresses chronologically, its first concern the arrival of the grunts to the site itself and their initial bewilderment at the intensity and complexity of the situation. It follows through long periods of consistent bombardment, the loss of a large patrol, and could be said to “climax”–the word implies melodrama, but the film is defiantly anti-melodramatic–in Bravo’s assault outside the wire late in the siege of a section of NVA trenchline. The arrival, in July of 1968, of a relief force, effectively ending the siege, is not treated as a triumph but a relief. The tone is modest, severe, and utterly melancholic. Regardless of one’s position on the politics and the policy that made this episode seem inevitable, one can only wonder at the toughness, the love, and the deep sense of comradeship that got the young Marines–most were twenty or younger–through the ordeal. But no bugles are played, no drums are beaten. The men themselves are now, as they were then, quietly magnificent. No Rambos here, no bravado or warrior zeal. Most break down at one point or another, and request that the camera be shut down while they compose themselves. Even now, years later, the loss of so many friends and the harrowing nature of the dread that crushed against them are still written vividly on their faces. These are the things that never go away, that we expect our fighters to bear up under. It is pleasing to report that most seem to have done well, and ultimately rejoined and contributed to society. That’s the only happy ending the movie provides. To call Khe Sanh a “battle” is somewhat misleading. The idea, just like the French plan in 1954, was to expose a large unit to enemy attack, under the assumption that it would prove so tempting that the enemy would soon arrive. The second part of the assumption was that the Marines, with their superior firepower and discipline, would destroy the attacking force and break the back and ultimately the morale of the human waves in the wire. But, as at Dien Bien Phu, the enemy never came. 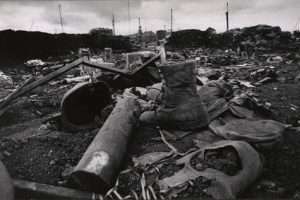 Instead, the NVA lay back and assaulted by mortar, rocket, artillery, and sniper fire. Only that one time, late in the engagement, did Bravo emerge from the wire and engage North Vietnamese regulars in a brief but bloody attack, vividly recalled here by all who participated. Still, at the grunt level, the experience was mostly about the play of right-time/right place dynamics, as most of the survivors recollect a moment or seventeen when they went into the hole on the right instead on the left and in the next second the hole on the left was obliterated by a shell. They were all–to cite a famous Bill Mauldin cartoon from World War II–refugees from the law of averages. The base’s umbilical was resupply by air. Some of the most horrifying moments in Bravo! portray the intensity of arrival and exit, as the C130s hit the runaway in mid-bombardment, spew men and material without ever really coming to a halt, then crank into a 180 at the end of the runway and take off again, all amid bursting shells. Nobody who arrived or departed in that fashion ever forgot it, and the graveyard of burned fuselages and sundered wings that became the central architectural feature of the otherwise low-lying bunker city is an image of war at its fiercest. A more historically oriented film might cover those brave pilots, as well as the fighter-bomber jocks who slathered the low-lying surrounding hills with napalm and contributed significantly to prevent Khe Sanh from becoming an American Dien Bien Phu, as well as the B-52s that turned much of the outlying jungle to mulch. Such a film might interview someone over the rank of O-3, might even provide a map that would locate Khe Sahn in country and suggest why the war’s managers considered it a good strategy. To their credit, the Rodgerses don’t care. It’s immaterial. This is a grunt film that looks at history from over the lip of the trench. To watch it is to think: Where did we get such men? Stephen Hunter was chief film critic for The Baltimore Sun and The Washington Post. He is author of the Bob Lee Swagger novels. Stephen Hunter’s review of BRAVO! is reprinted here with permission from the July/August 2012 issue of The VVA Veteran, the national magazine of the Vietnam Veterans of America. Filmmaker Ben Shedd on BRAVO! Ken and Betty Rodgers’ feature length documentary BRAVO! is the riveting story of the 77 day siege at Khe Sanh in Vietnam, where Ken was one of the Marines in that battle. BRAVO! combines new interviews with many of Ken’s Marine Khe Sanh colleagues and Vietnam era war stock footage, telling an almost half century old story as if it happened last week. I’ve watched BRAVO! four times now at different screenings, two of the first screenings for colleagues and people in the film, one at the Veterans Hospital, and one for a university film class. Each time, it’s as if I were joining those men on the battlefield. This movie is as powerful as the recent Afghanistan on-the-ground war documentary RESTREPO – this one from another war, Vietnam – and I felt just as viscerally involved in the events from decades ago as from just a few years back. The exquisite production work by Cinematographer Mark Spear, BAFTA Award winning Editor/Sound Designer John Nutt and four time Academy Award winning Sound Mixer Mark Berger at Skywalker Ranch slowly sweep me into Khe Sanh and, much like the battles of that place, moving back and forth from quiet tension to startling explosions, into the midst of deathly conflict, into the middle of events we struggle to comprehend. BRAVO! flips documentary expectations upside down. The interviews, which would usually accompany footage showing events in a documentary, become the central events of this film. Indeed there is news footage from that long-ago time, but the vivid recollections of these Veterans create a visual landscape so detailed that I find myself wrenched by the life and death of war. I become one of their colleagues in that time and place and come away knowing both the tragedy and day-to-dayness of battle like I have never before imagined. We hear vividly how the men of Bravo Company live every day today with their ages-old war memories, some having never told their stories before. I’ve read about the effects of post-traumatic stress and in BRAVO! I see and hear it in real time. When 4 or 5 of these men describe in detail an event in their Khe Sanh battles, all from their own memories, as if they were living it right now – not reliving things from decades ago – and all filled with the same details shaped with small variations from their own personal recollections, I feel startled how we – every one of us – must deeply imbed dramatic/traumatic events in our lives and shape our futures from past events, and say little or nothing as we move along in our lives. I went out the day after I first saw BRAVO! and found myself looking at every single person who crossed my path, wondering and thinking what, like those men of Bravo Company, were people’s life histories, what were their back stories, what have they experienced that make them who they’ve become, and wondering what I and each of us carries with us as we make our way through the world and through our lives. I’m a professional filmmaker, not a psychiatrist or psychologist, and what I see documented, with everything else in BRAVO!, is post-traumatic stress disorder [PTSD] in all its facets, in my face, a deep reality to understand and know and deal with. Last week, I bumped into a VA doctor acquaintance of mine who was at the Veteran’s Hospital screening of BRAVO! and with my simple question asking him about the film, he responded with a shudder that now, two months later, he is still haunted by its visceral impact and clear-eyed view of the people in battle and the lifelong aftermath. It’s taken me even longer to try to write some of what I felt and am still feeling from experiencing BRAVO! Thank you, men of Bravo Company, for telling us about yourselves. Thank you, my filmmaker friends Ken and Betty Rodgers. I’ve made two dozen documentaries and screened hundreds of other excellent documentary films, and I put BRAVO! in the top 10 of all documentaries I’ve ever seen. Kudos to the whole production crew. Bravo BRAVO! On the Sidelines of Bravo! Ann Nutt, wife of Bravo! editor John Nutt, muses from her sideline seat. Having had a close association with the evolution of Bravo! over the past year, I know that there are a lot more people out there besides me who have closely followed the coming together of this amazing film, and every one of them probably has a story to tell. Here is one of them. My name is Ann Nutt. My husband, John Nutt, is a film editor and a Vietnam veteran (Army). Over the nearly forty years that we’ve been married, he has thought of himself more in terms of his film work than his military experience, but that experience has always been part of him. That experience came to mind when I read an article about Ken and Betty Rodgers and their film about Khe Sanh and handed it to John. The first phone call that John made was serendipitous. Not only was it Ken and Betty’s number, they were, as they later told us, at that moment talking about how they were going to find an editor that they wanted to work with on their film. After a few conversations with Ken and Betty and a meeting with their friend (and associate producer) Carol Caldwell-Ewart, John had the honor of signing on to work on this extraordinary project and I had the honor of getting to live alongside it. Although Ken and Betty live and work in Boise, John worked from our house in Albany, California. It’s not a big house, and I have a corner of “the office” in which John edits. I was in and out of the office in the early months of the editing process, while John was watching hours of raw interview footage, and even though I was not sitting down to watch that footage, I was hearing the voices of the Khe Sanh survivors, listening to bits and pieces of their stories, and that is when I began to learn about courage –on many different levels. First, there is the courage of the survivors, whose agonized stories I listened to in bits and pieces before ever seeing the film. Film or no film, it was clear that opening up and reliving their experiences in graphic detail was not at all easy for them. I heard them choke up as they talked about what had happened to them at Khe Sanh and afterwards, and how it had changed their lives. Thankfully, for the rest of us, they did tell their stories, and the film gives us not only the stories, but a real understanding of the courage it took to tell them. Bravo! 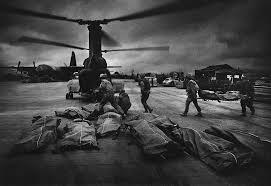 also shows something about the courage of all soldiers who go to war. The powerful observation that most of the Marines at Khe Sanh were barely out of childhood when they went into battle could probably be said about most soldiers in any war. It’s a lesson about courage on a personal level that we should all be aware of. Finally, I had something of an insider’s view of the significant courage on Ken and Betty’s part that it took to make this film in the first place. They had never made a film before this, but they waded straight into the unknown. From the beginning of simply wanting to record the stories of Ken’s fellow survivors, they learned how to raise funds, direct and shoot the interview footage, oversee difficult editing decisions, and, when the film itself was complete, to work relentlessly on getting the film seen. I was aware of painful debates about how deeply into the brutality of the siege of Khe Sanh this film should go, and Ken and Betty had the courage to go deep, and to make artistic choices, such as adding documentary footage and powerful sound effects, that made the reality of the battle all that more real. I went from hearing the opening explosions that introduce the Bravo! audience to Khe Sanh on the small speakers on John’s computer in our small house, to hearing it projected on a very simple video projection system in a small hotel conference room, to feeling it shake the floors (and startle me out of my seat) in surround sound at Lucasfilm, and no matter how many times I heard it, it was powerful and real. From idly reading the newspaper in Tucson, to watching the completed film in a large theater, I have had an amazing time on the sidelines of Bravo! 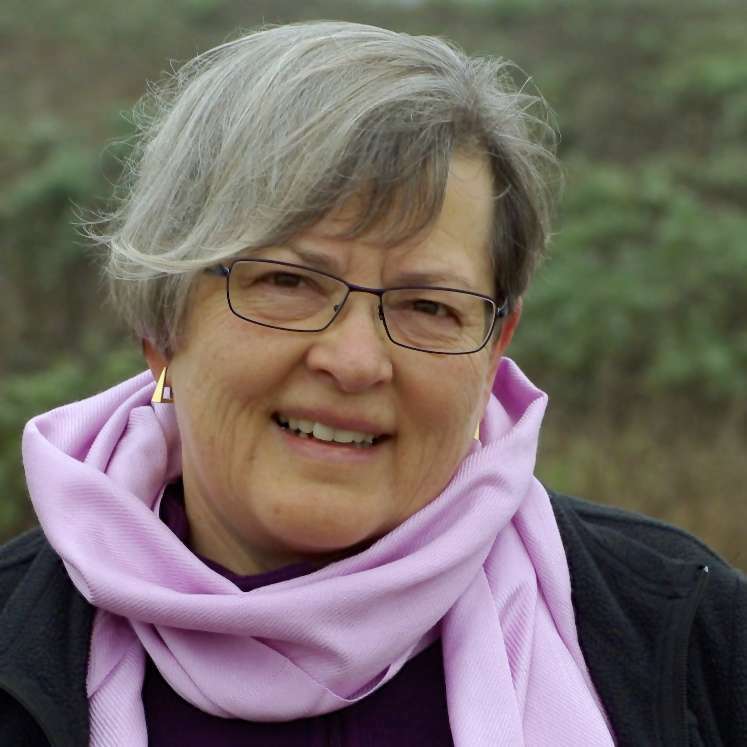 Ann Nutt is recently retired from a long career with the U.S. Environmental Protection Agency, where she was an attorney specializing in water pollution law. She is presently a volunteer writing coach in two public schools and has recently begun training to be among the first group of docents at the Rosie the Riveter/WWII Home Front National Historic Park, which will open its first visitors’ center in May. Ann met her husband John in 1966, when he was a devoted moviegoer, but not yet involved in the making of films. They lost track of one another after high school graduation but reconnected via correspondence during John’s tour in Vietnam. She has been close to his work on many films over the years, but has never felt as drawn into any as much as Bravo! In about six hours we will be screening Bravo! Common Men, Uncommon Valor for about one-hundred friends and supporters in Santa Rosa, California. Before the showing, Betty and I will be sharing the stage with the film’s fundraiser extraordinaire, Carol Caldwell-Ewart. Carol has arranged for us to screen the film at the 6th Street Theater. Our editor, John Nutt, and Ray Doyle, whose recording of “Mick Ryan’s Lament” is excerpted in the film, will both be on hand for the screening as will Steve Wiese, an interviewee of some importance in the movie. The weather here is gorgeous, Indian summer, and it should be a beautiful day to watch this powerful film. I am nervous. I shouldn’t be, but I am. Last Thursday I filled out the application to submit Bravo! Common Men, Uncommon Valor to the 2012 Sundance Film Festival in Park City, Utah. When I pushed the button to send off the application I felt…what did I feel? Relief? Yes, I felt relief, not like a great metaphorical weight lifted from my shoulders, but a sense of…of…yeah…we did this. We made this movie. We told this story, this old story. And it is old, a lot older than the forty-three years since the Siege of Khe Sanh lifted. This story is as old as mankind, I suspect. Death, fear, sacrifice, savagery. Everything one wants in a good action-adventure flick. But this story is true…or as true as can be after all the time for events to percolate, change, morph, be forgotten and then remembered. It’s been a wild month. In late July we went to Rochester, MN and showed the film by private invitation first to a group of some of the interviewees and their spouses. Then we showed it by private invitation to a much larger group of men who survived the siege, or who were at Khe Sanh before or after the siege. In some ways, these are the most important audiences we will face, I think. Sure, this story is laden with messages that speak to all humanity about essential and timeless truths we seem to forget again and again. But the men in Rochester lived the essence of the movie and they would feel it more viscerally than anyone else. After Rochester we proceeded to northern California and Skywalker Ranch to do the final sound mix. To observe longtime professional editors John Nutt and Mark Berger argue and wrangle over how the movie should sound made Betty and I feel as if they really cared. They cared enough that they got emotional and scolded and sniped at each other, sometimes looking at Betty and me to see which one of them we agreed with. The tension of the film mixed with the tension created by Mark and John’s disagreements made my torso hurt, like someone nipping at my skin with a sharp bayonet. But art—and even though the subject matter of Bravo! is somber, violent—it is still art. One of the things that helps create art is tension. Art, to succeed I believe, needs friction and conflict. Michelangelo’s art has tension whether it be sculpture or painting; so too, El Greco, and Picasso and Beethoven and Mick Jagger and Werner Herzog and Quentin Tarantino. The tension between Mark and John was part of elevating the art in Bravo. And in Skywalker Sound’s Studio Mix E it was loud. The resonance reverberated off the walls, through the floor into the feet of the chairs and couches. It knocked pencils out of pencil boxes and—even though I have watched it so many times—surprised me, frightened me, regardless of the fact that I knew what was coming. So…the movie is loud, and at times brash, speaks to indignations of living like a besieged rat; it is sad, somber, elevating, and in the end, redemptive.